What is the Right Amount of Cash to Hold in Your Portfolio? Cash is a very useful tool for investors within all portfolios, with utility that provides liquidity and capital protection. However, it has a long history of underperforming almost every other asset class. So, how does one decide on the appropriate level of cash to hold? When sizing, there are several points an investor should consider in the portfolio construction process. 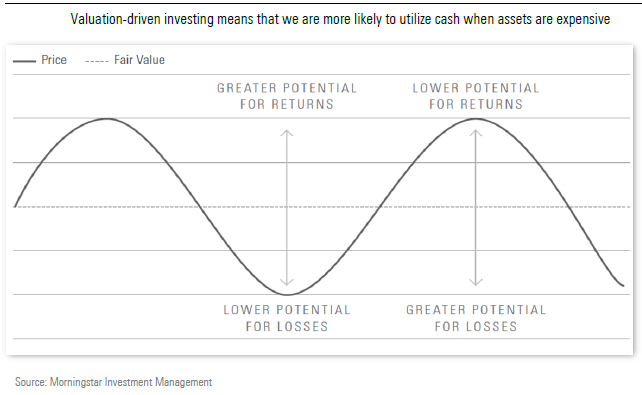 Cash is a liquid asset that offers virtually no growth potential in a long-term context. As such, cash is generally an exposure that is used for liquidity purposes and otherwise depends on long-term deployment opportunities within other asset classes. Or to say this another way, cash exposure within portfolios should be directly proportional to how a client’s objectives and constraints result in the need for short- versus long-term outcomes. How does this work in practice? Well, we are comfortable holding elevated levels of cash, but only if our fundamental approach indicates a lack of long-term opportunities. As part of this assessment, we advocate focusing on a valuation-driven approach which helps identify attractively valued assets and asset classes. Cash is therefore an important part of our holistic portfolio construction process, and should be used with due consideration of a portfolio’s objectives and constraints as well the prospects of all available asset classes. In this sense, stretched valuations indicate higher downside risk, and thus, cash plays a more vital role. Cash allocations are all about guarding against undue risk and providing ammunition for future opportunities that present themselves. What investors need to understand is that, like any investment, cash carries underlying costs. However, unlike other assets, the cost of cash typically comes from the hidden cost of opportunities missed. These opportunity costs are far less tangible, yet vitally important. Just as the interest rate is a measure of the opportunity cost of holding cash under one’s mattress, thereby earning no interest, the opportunity cost of holding interest-bearing cash is the difference in the return on other asset classes over the amount of interest earned by the cash. Let’s illustrate this with an example. Over the past five years to 30 September 2017, the MSCI All-Country World Index has produced a compound annual total return of approximately 11%. In comparison, global interest rates, used as a proxy for cash returns, have generally slumped to less than 2%. Thus, for a high growth investor, the opportunity cost of holding cash for extended periods can be sizeable. In terms of explicit charges, cash funds also have underlying costs associated with cash management such as taxes on accrued income from the cash holding. The average cost of a cash fund (which clearly differs to cash in the bank) is typically 0.1% to 0.3% for retail investors, hampering the real return a long-term investor receives. Investors should also consider their tax status and switching costs, typically coming in the form of fund charges. The moral of the story is that while cash theoretically offers a risk-free return with protective benefits over shorter time frames, costs can erode this return. The maxim “cash is king” is often held in crisis folklore, as cash is considered a place where wise people seek safety during times of stress. Therefore, while cash can and should be considered as an asset allocation tool, it is important to realise there are behavioural biases at play. Investors suffer from “loss aversion” as well as the “present bias” and the “recency bias”. This touches on the human tendency to fear possible losses approximately twice as much as the satisfaction generated from an equal amount of possible gains. In addition, studies have shown that humans innately prefer to focus on the present ($100 today is more important to most of us than $120 in one month’s time) and have a tendency to draw on recent history rather than apply logical perspective. The result is the extrapolation of recent events indefinitely into the future by basing decisions on sample sizes that are often too small. In a market downturn, this typically translates into an investor belief that riskier asset classes are too unsafe and a widespread belief that cash will outperform. It is important to negate these behavioural biases before they happen, and an effective method is to create automated rules that help investors stick to their principles. To us, this means focusing on a fundamental, valuation-driven approach over longer time periods. While short-term underperformance is never comfortable, it is important that investors stay the course and avoid decisions brought on by emotional myopia. This means one should also take a contrarian approach to cash. When the opportunity set is limited, cash becomes a sensible place as we await opportunity. Conversely, we must stand willing to capitalise on irrational behaviour and deploy cash if the opportunity set widens. 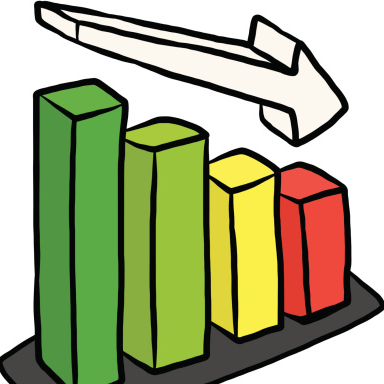 Asset allocation is a complex decision-making process which includes understanding risk and return objectives, time horizon, liquidity requirements, tax position, as well any other unique circumstances. Of course, hindsight allows one to see with 20/20 vision, telling an investor whether they would have been better served on a risk-adjusted basis by substituting risk asset exposure for cash exposure. However, it is rarely that simple in a future context. Chasing past performance and extrapolating short-term results is a sure-fire way to destroy capital. While no one knows the future direction of the economic cycle with precision, long-term analysis would suggest that investing in asset classes with fundamental growth potential is the best way to preserve real capital. Yet, many investors find themselves wanting to retreat into cash holdings at the times they shouldn’t. While cash feels “safe” and can offer better real returns relative to local equities and bonds over shorter time periods, history and logic suggests that this is a situation that is very unlikely to persist over longer holding periods. Given the cyclical nature of markets and the evidence presented above, investors should therefore consider cash under a valuation-driven risk management framework, conscious of the cost but aware of the total portfolio impact. The message is to consider cash holistically. By doing so, investors can significantly benefit by constraining their bias towards loss aversion and instead thinking about the overall opportunity set. While this may not be easy, impatience can come at a great cost – both tangibly and metaphorically. Should You Hold Cash or Bonds in Your Portfolio?